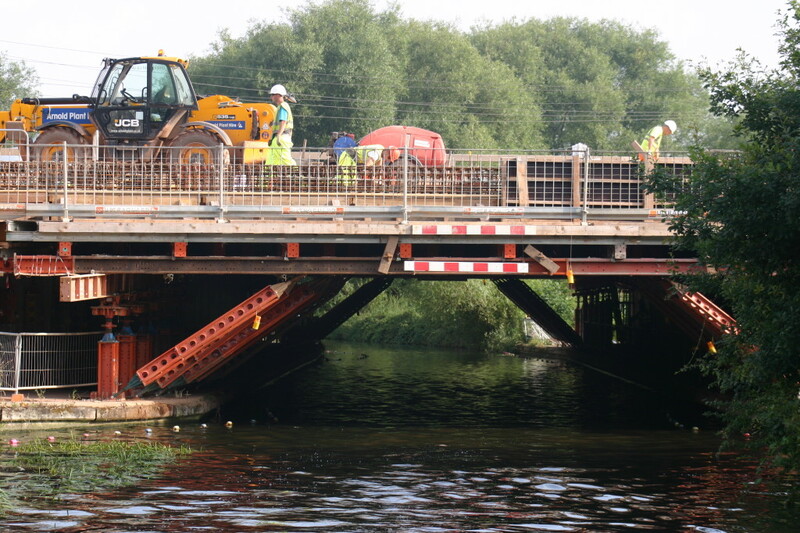 From Straight Mile Turn to Shebdon Aqueduct, a distance of 24 miles, 5¾ flg and 2 locks. 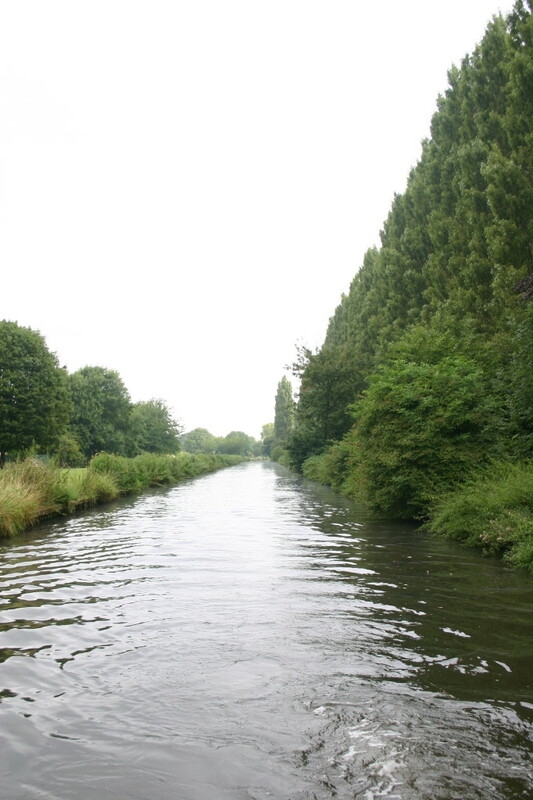 The canal from Hatherton Junction to Ford Houses Aqueduct is all twists and turns but there were few boats on the move which meant that it was possible to do a reasonable speed and also not meet a boat at each of the blind bends. 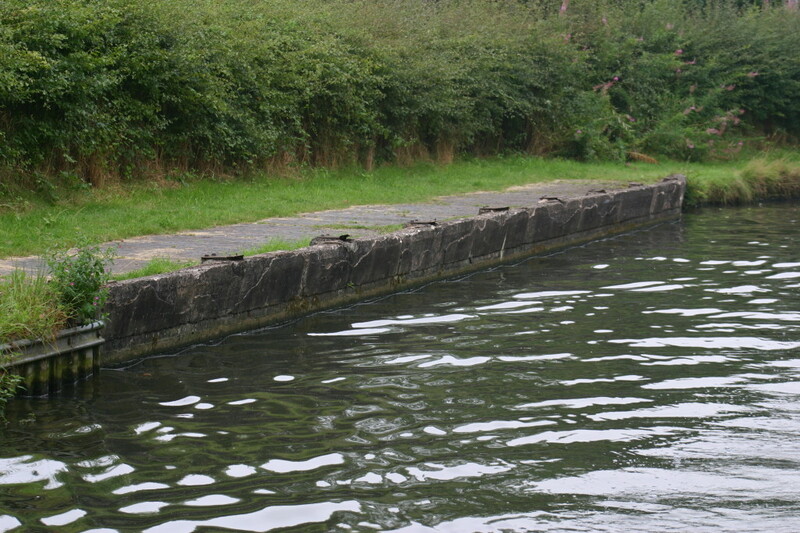 At Aspley Wharf the towath which is pretty rough and ready for most of its time becomes much wider, is made of brick and the towpath edge has the remains of steel girders in it. Is it a wharf or is it something else? It looks like a wharf of some sorts (which is why I named it that in Canalplan) but the railway line is so close it doesn’t seem likely. However it was obviously something important and quite substantial. The Coven Heath M54 Motorway Bridge is being widened for the new Jaguar Land Rover factory and there were people swarming all over it preparing the concrete and steel for the next phase of the construction. Unlike last time we arrived at the Autherley narrows with no other boats around – and I’m sure they looked narrower this time round. After the narrows the canal widens out and takes on a rather European look…. … as long as you ignore the large housing estate which is hiding just out of camera shot. We had to wait a few minutes at the junction as there was a boat in the lock and another boat coming up the canal from the other direction. There was a little bit of confusion but apart from one boat (not us) not making the turn properly and hitting the bank (and they’d not be the first or the last) it wasn’t too bad. The Shroppie was pretty quiet and even Brewood Visitor Moorings where half empty. What I have noticed is the large number of boats on the Shroppie that don’t show any registration number or valid licence (or even a licence at all), and its not just like the semi derelicts at Deans Hall Bridge No 12 – some of which have been there for years and have never shown either a plate or a valid licence. There are also smartly decorated boats with no plates or licence, and one of those – a working boat was moored right up against High Green Bridge No 14. 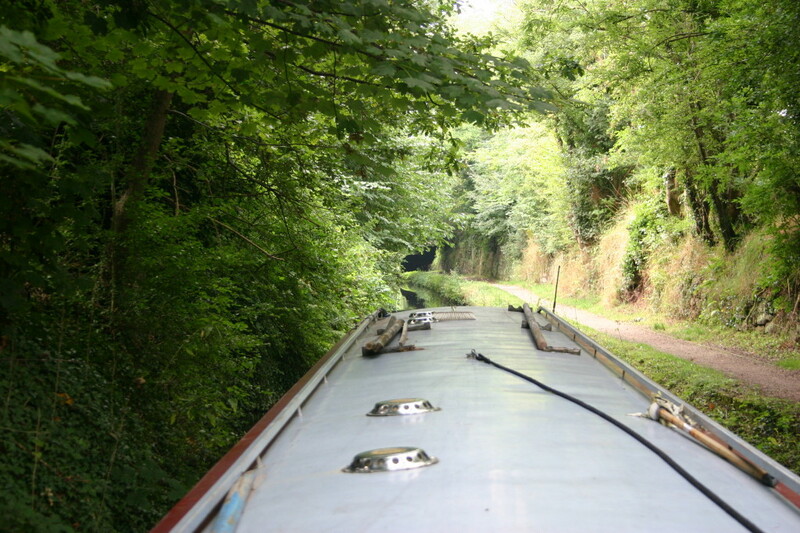 Things weren’t that bad until we got to Cowley Bridge No 32 and the cutting and tunnel – but apparently some people don’t think its possible for 2 boats to pass in the cutting. OK there isn’t a lot of room to spare but it should be obvious that you can…. The moorings from Cowley Tunnel No 33 (North end) right through to Plardiwick Bridge No 36 were pretty full but oddly enough there seemed to be quite a bit of space round Norbury Junction. All I can assume is that everyone had stopped for the day as we only saw a couple of boats on the move from there until we stopped for the night on the moorings by Wharf Inn (Shebdon) Winding Hole. This entry was posted in 2014, Summer 2014. Bookmark the permalink. ← Is that Stafford over there?